Bridget Fidget is one of the books we got from the library. It’s about a girl called Bridget who is convinced that a parcel which is delivered to her house will contain a pet for her. It’s a book that does get requested a lot, but also gets a mixed reception. The older toddlers love guessing at what might be in the box and are eager to see what it contains, but the toddlers who have only recently become two loose interest fairly quickly. There’s a fair bit of waiting to see what it is where I think the younger kids would benefit more from a less delayed discovery. 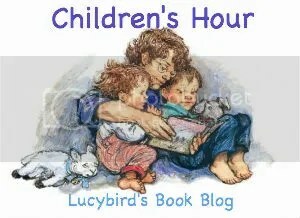 It is a good book to get the kids thinking about what might happen next, which is something the older children can do. The tone is easy to understand and has lots of mini climaxes which keep things fairly exciting.